We had the pleasure of stopping by the Wang Theater to present funding for the City Spotlight program. City Spotlight employs and empowers teens in the City of Boston to harness their creative skills to become leaders in their community. We were so inspired by their talents and passion for the arts and we are proud to support City Spotlight as they continue to expand each summer. We want to say a very special THANK YOU to Citi Center of Performing Arts CEO, Joe Spaulding, for all the work he has done and continues to do for the arts in Boston! We stopped in at Alex's Place located inside the Martha's Vineyard YMCA in Oak Bluffs to provide funding for the Adrenaline Music Program (AMP). AMP provides year round creative musical opportunities for all teens on Martha’s Vineyard as well as those who visit the island. All programs offered through AMP are complimentary as a way to fill in the gap for teens who do not receive music in school. 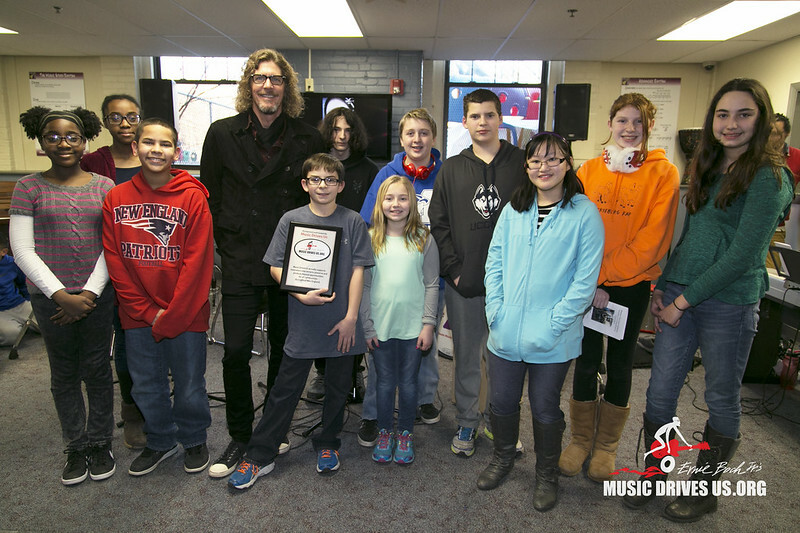 MDU proudly presented AMP with 10 acoustic/ electric plug-in guitars, 2 electric bases, and funding to provide complimentary guitar lessons. Alex's Place is a fantastic facility and we applaud all of the work they are doing for teens on the island. We are proud supporters of the Methuen Music Clubhouse located in the Merrimck Valley YMCA. The Methuen Music Clubhouse is a safe, creative environment where young people ages 10 to 18 years old, from the surrounding community are provided with opportunities to learn, perform, record, and pursue music education. Music Drives Us provided funding to support Clubhouse events, such as open mic night, band night, as well as lessons and workshops. We were so impressed by the live performances of the students and wish them all the best as they continue to learn and love music!